These foods you shouldn't eat anymore to avoid cancer! Click here for more Info! Does this sound familiar to you? You feel worn out and tired quite often. Though you eat and sleep enough, your engine doesn’t really want to get started. Your skin is blemished and you have a few spots. Your hair appears lusterless and lifeless. Your body probably cannot process the nutrients that you give it, since you provide it with so little important enzymes that can break down the nutrients. In many cases, a vitamin B deficiency is a reason that not enough nutrients are absorbed. Vitamin B breaks down the nutrient and provides new energy. Cells can regenerate, your body can detoxify and your hair is stronger. Below I show you what the individual B vitamins are able to do, how they can strengthen your body and how they can keep you healthy. Thiamine is essential for the functioning of the nervous system. It has an influence on the messengers in the brain and is thus supporting the transmission of the stimulus. The coenzyme has an effect on important reactions in the energy metabolism and is thus playing a decisive role in extracting energy from nutrients. Vitamin B1 also helps stimulating the growth of new skin and hair cells as well as of nails. By means of oxygen, vitamin B2 converts hydrogen from nutrients into energy. It has the ability to speed up the transport of oxygen and gets it to wherever your body needs it the most. In this way, vitamin B2 supplies the body with energy. Vitamin B3 is a very important coenzyme which provides to the body the energy it needs. It repairs damaged cells and DNA, it helps the nerves and increases your brain performance. It is the most powerful antioxidant, it enlarges blood vessels, it prevents Alzheimer’s disease and it helps Parkinson’s patients. Thanks to these features, vitamin B3 is also referred to as ‚power vitamin‘. Vitamin B5 plays an important role in the composition and decomposition of fats, carbohydrates and proteins in all tissues. Furthermore, it has a positive influence on the nervous system and on the production of hormones that control our responses to emotions and physical stress. Vitamin B6 is essential for the build-up and the conversion of amino acids into proteins in the body. It is involved in approximately 100 enzymatic reactions of which almost all are taking place this way. Furthermore vitamin B6 is also important for the synthesis of the neurotransmitters serotonin, noradrenaline and dopamine as well as of the tissue hormone and the messenger substance histamine. Biotin is particularly important for the formation of new skin and hair cells. That is why a lack of biotin leads to damages of the connective tissue, inflammations of the skin as well as to hair loss. Vitamin H also performs vital functions in metabolism. Folic acid helps the body to produce DNA and to form blood. It is also helpful for the cell division and the regeneration of cells. A vitamin B9 deficiency may lead to anemia (lack of blood). Malformations of the central nervous system of a fetus during pregnancy can be directly connected to a shortage of folic acid. Cyanocobalamin is involved in supporting metabolic functions as for example the breaking down of fats and carbohydrates and in nucleic acid metabolism. 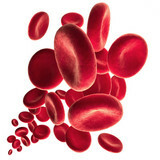 Vitamin B12 is also essential for the formation of blood. It is useful to take a vitamin B complex, since only a vitamin B complex contains a balanced combination of B vitamins. The B vitamins support each other in many processes. For this reason, I recommend, you take a high-quality vitamin B complex which contains high doses of all B vitamins. Take my advice. I recommend a vitamin B complex which I’ve tested myself and which has shown to be effective. Hello my name is Benjamin. I am working for several years with vitamins and minerals. Since I am convinced of the positive, health-promoting effects of vitamin B, I use this site for my information to share with you. I hope you enjoy reading!